Have a good Hair Day! 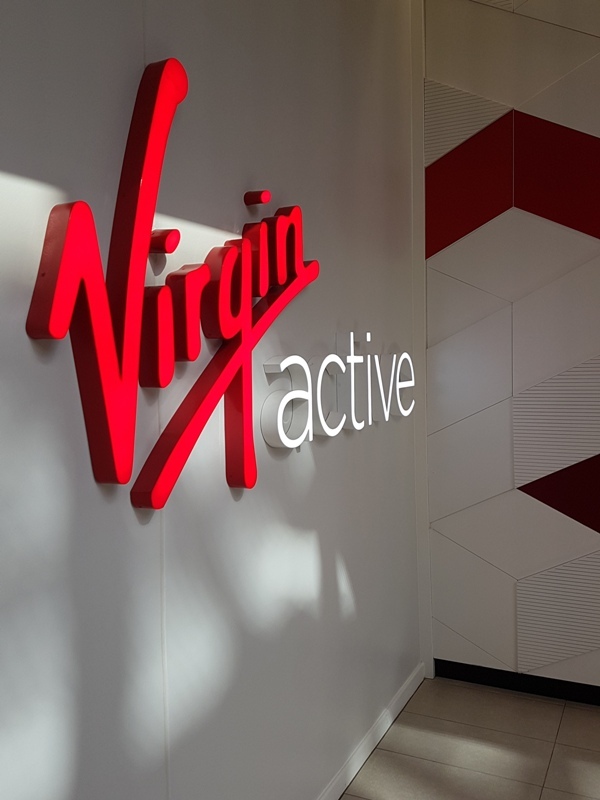 We decided to give suspension yoga a bash at the new Virgin Active Collection gym in the Silo District in Cape Town and let’s just start by saying that this gym is next level great, the crème de la crème as far as gyms go! 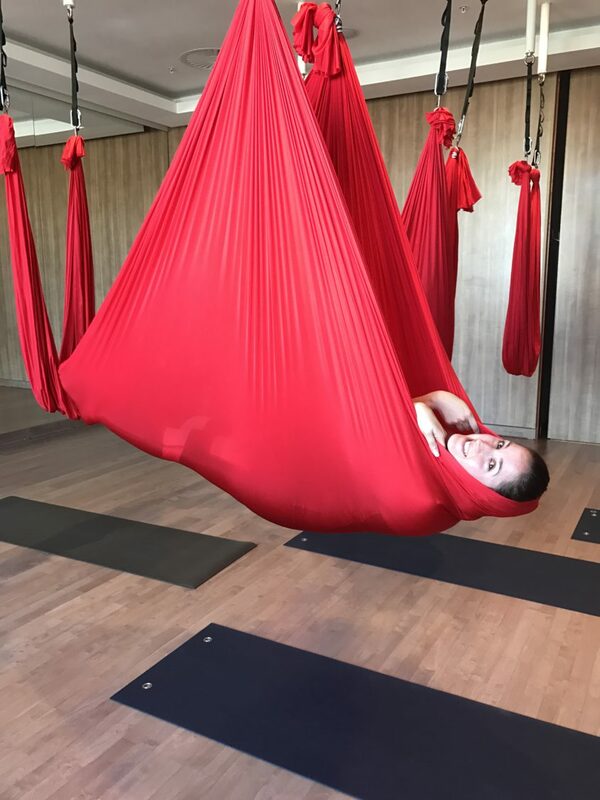 Suspension yoga is done using a fabric sling or hammock that is suspended from the ceiling to about hip height. 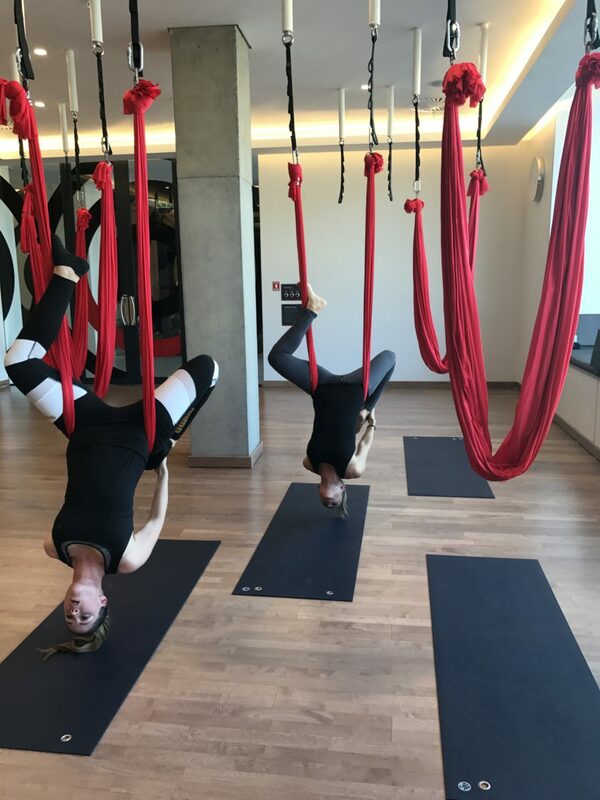 The class consists of both floor work and aerial exercises for strength, stretching and also relaxation. 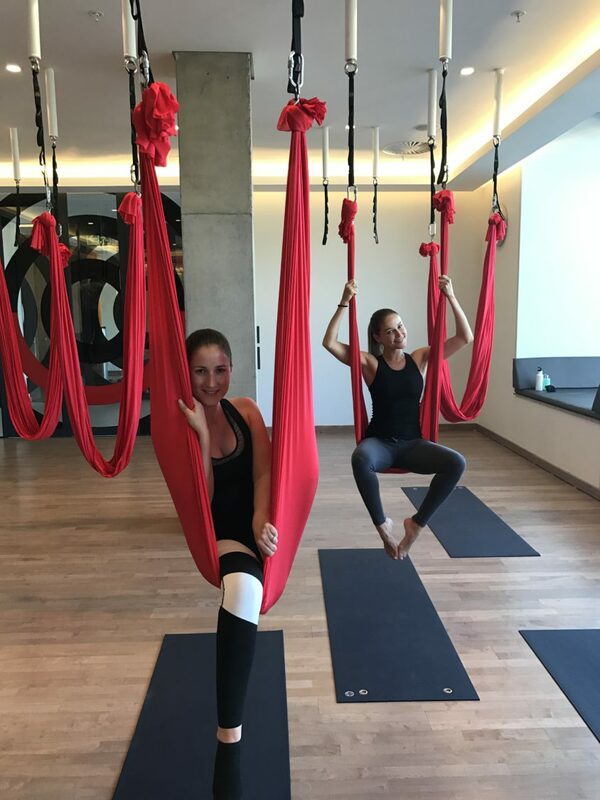 The sling supports the body weight and distributes it evenly throughout the movements using gravity to ease your body into lengthening the muscles and strengthen the core by holding poses. 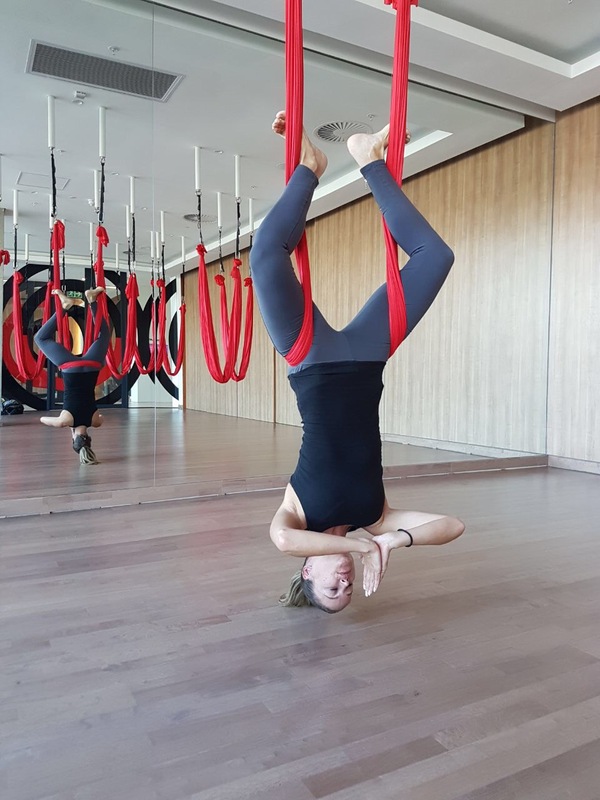 Hanging upside down is SO good for your body because with our normal day to day lives we tend to spend most of it either standing, sitting or lying down with the normal force of gravity not being opposed so when we turn it on it’s head (quite literally) we reverse this normal gravity effect and the body begins to normalise itself again. 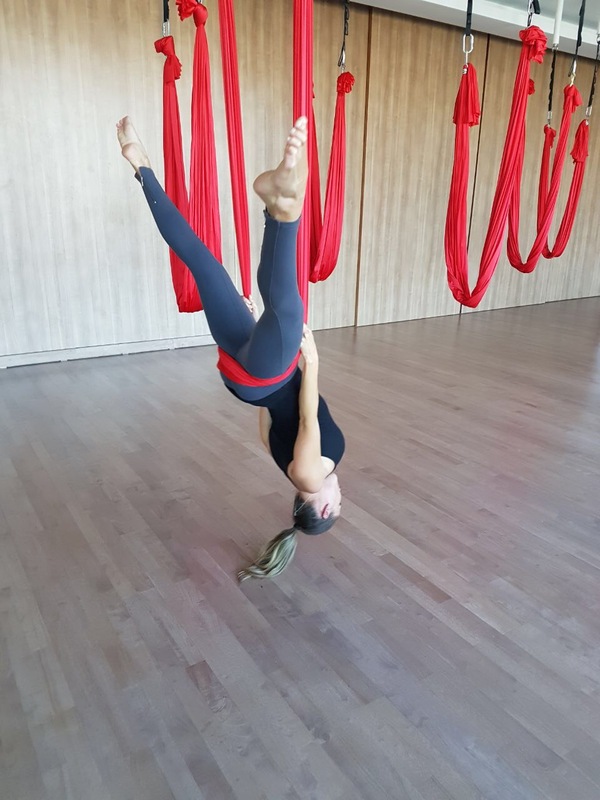 Inversion has been referred to as an ancient anti-aging secret, awesome mental boost by getting the blood flowing to your head and has also been said to help with back pain and other postural issues. 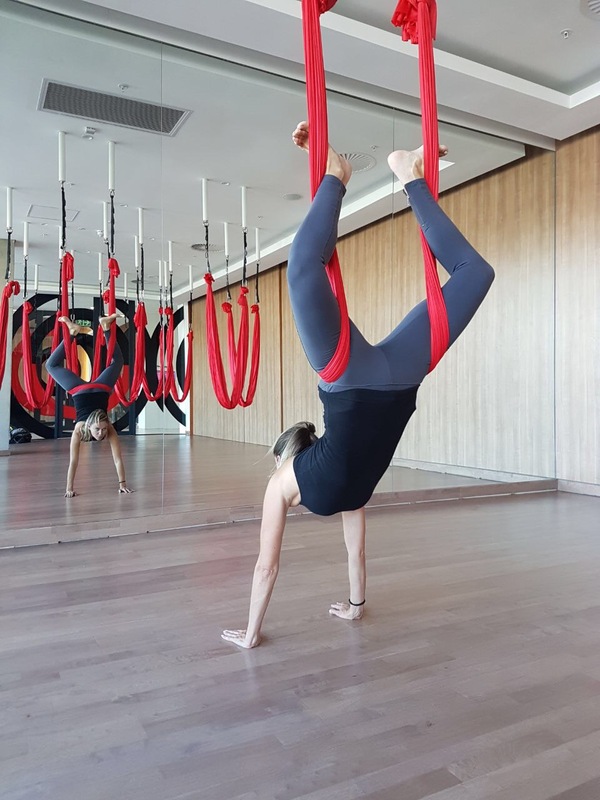 I must say that I found the pressure of the fabric around my hips and legs quite uncomfortable in my first class because I found myself wrapped up and hanging in ways I’d never experienced before but I definitely got used to the sensation with every class I did thereafter and now I absolutely love it! I swear that I feel just that little bit taller every time I walk out of the studio ~ haha! 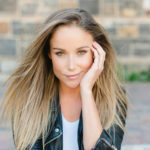 Starting our own blog has been something we have wanted to do for a very long time. And when we say blog we don’t mean that we’re going to try and attempt long paragraphs of creative journalism excellence (because trust me none of us have a truly inspired way with words ~ ha ha) but rather a space where we can share great stories about all the moments of inspiration and the tiniest of things that make us tick. 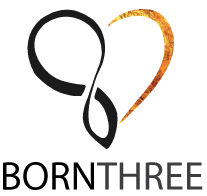 Subscribe and get notifications of our new posts to your inbox!